Description: Introduce your Dance Kids to our newest bouncer! 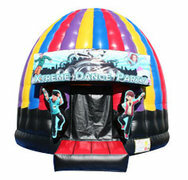 You'll have room for all the members of his or her dance crew in this awesome disco bounce house. 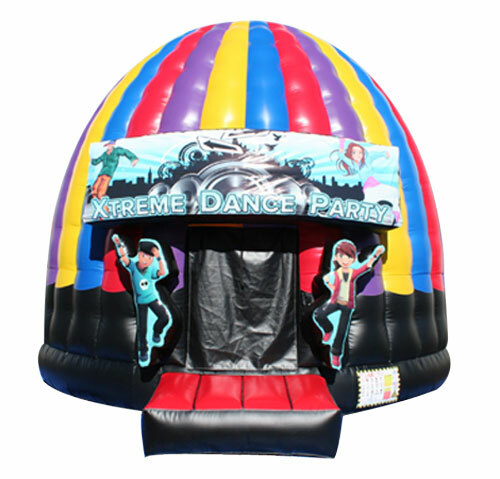 Sporting a tall dome shape, this jumper features a large bounce area of over 500 sq feet, large vent windows that allows parents to keep an eye on the activity, a disco strobe light and booming speakers with an inflatable ramp at the entrance for safety. Another great example of the high quality bounce house rentals our customers have come to expect from Kindas.